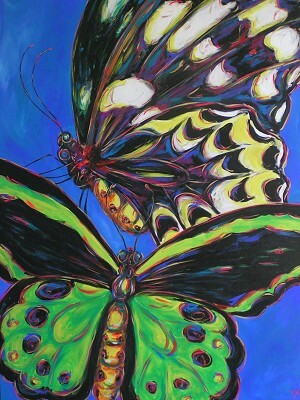 The sun is out, our largest butterflies flutter majestically, romantically, strictly ballroom; a dance of life. Butterflies are the world's fairies; they are beautiful, elusive and yet accessible. Our garden is home to many. The Cairns Birdwing are the most impressive.